Trust Worry Free for your weekly yard maintenance. 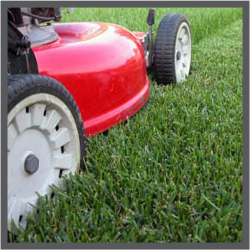 Our professional service includes mowing, edging, weed-eating and removal of grass clippings. Our service is so smooth that you won't even know we were there... Except for the fact that your yard will look fantastic! The challenge of getting your lawn and landscaping ready each season can seem overwhelming. Let us worry about that for you. 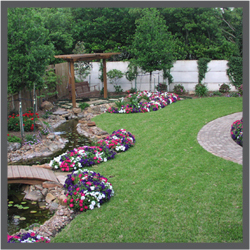 We handle your leaves, flower beds and lawn quickly, painlessly and most importantly for less than our competitors. We specialize in Landscaping Accents like Retaining Walls, Drainage Systems, Concrete, Water Features, Ornamental Design Installations and Temporary/Permanent Automated Sprinkler Systems. However, we are also equipped to perform any duty you may need. You can rest assured that you’re receiving high-quality professional services. Want your house to rival the Grizwald's but don't want the hastle?? Worry free is your solution! 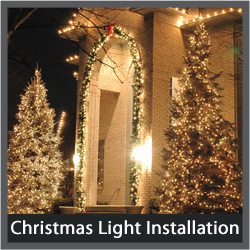 From the simplest of installations to eye blinding Christmas scenery.. We can handle your holiday season! Do you have some unwanted eye sores in your paradise? Use Worry Free for tree removal, dirt excavation, hauling and removal. Why do all of the hard work when we can do it for you?